In celebration of Latino Heritage Month (even though we Latinos celebrate it everyday of the year) and with the baseball season coming to an end, I felt it was only right to highlight the only organization in Major League Baseball to have an office dedicated towards marketing diversity. That team happens to be the Minnesota Twins. I grew up a baseball fan since I was out of my mother's womb in the year of Kirby Puckett, also known as the year 1987. I recall those golden Metrodome years as a tomboy loving to collect Twins caps and my brother's Twins memorabilia surrounding our bedroom walls.From the famous Wheetie's boxes and Homer hankies, to the autographed baseballs signed by the champion team dedicated to my dad. My father and mother's casita served as a Latino gathering spot for musicians, actors, writers, politicians, educators, athletes and pretty much anyone with good intentions to serve and celebrate Latino culture in Minnesota. Those professional athletes who attended included Twins hall-of-famer Tony Oliva of Cuba, and Twins World Champion pitcher Juan Berenguer of Panama. Whether it was to celebrate birthday parties playing softball games, dance to Juan Luis Guerra and Fania, or to just relax on a day off of the field; my family made sure those players they hosted in our home were able to grab a good plate of arroz con habichuelas, listen to salsa music, enjoy a little rum from the motherland; while of coarse playing games of capicu (domino game) until the late night. This house I grew up in on the Westside of St. Paul, wasn't a Minnetonka estate with a huge lake in the back, but it sure was a a home where humble people were able to live, love, laugh, dance, sing, cook, eat delicious Latino cuisine,play capitas (stickball with bottle caps), share stories of survival and celebrate accomplishments of the many generations and elders who migrated from Latin America, with journey's paving legacies to build opportunities for our representation in Minnesota. 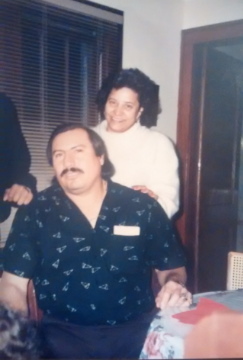 Juan Berenguer y mi Mami Elsa Vega-Perez at my parents' home on the Westside circa 1989. Today, the legacy of Latino culture through the Minnesota Twins isn't just being celebrated by fans tuning into games or cheering live from their seats at Target Field. 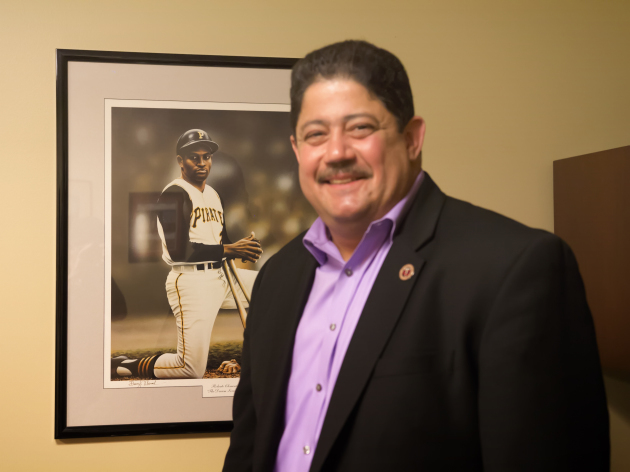 There is a movement standing strong with over 20 Latinos in the ball club influencing the community and is led by the direction of Puerto Rican native Miguel Ramos; who is the first and only diversity marketing office in the entire Major League of Baseball. Last month I caught up with Mr. Ramos and was able to tour the beautiful Target Field offices. I was given permission to walk through the luxurious clubhouse, while players of the 2015 Twins team prepared for a win over the Chicago White Sox. I felt like the tomboy I was all over again, quietly wanting to get my mitt signed by players of my favorite team. Thanks to el Boricua Miguel Ramos, I was even able to ask a few questions to my favorite players on the team: Puerto Rican-outfielder Eddie Rosario and Dominican-3rd baseman Miguel Sano (YouTube Interviews below). 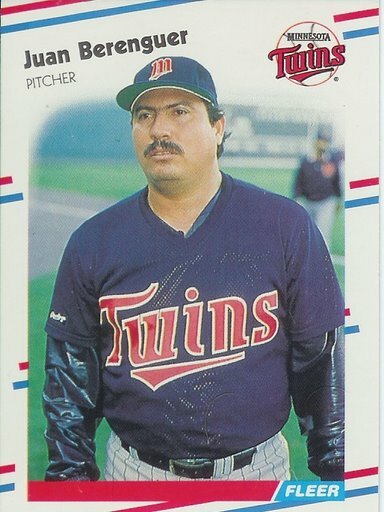 Mr. Ramos shared with me his story and as to why he is honored to be a part of the great Minnesota Twins baseball organization. He expressed that it wasn't easy working to establish the position he leads today, but that it is a honor to celebrate his dedication towards the community each day. 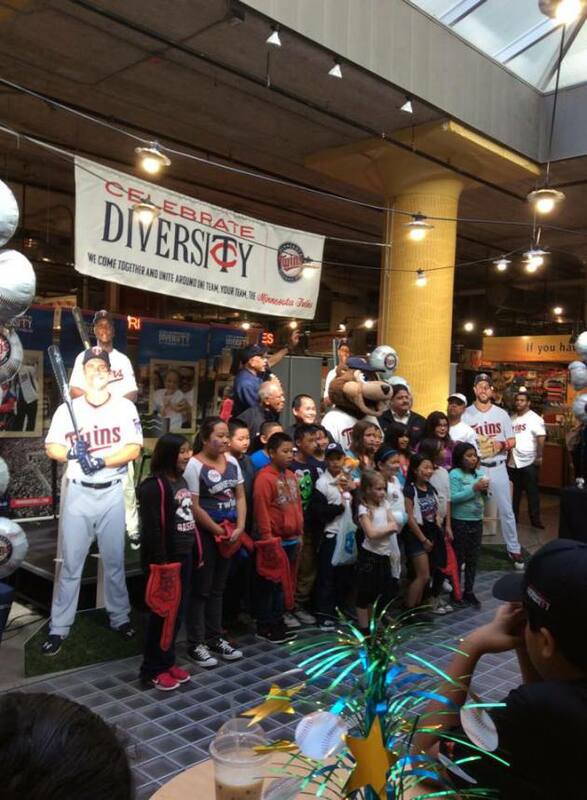 Even though the Twins will not be making the play-offs this season, the organization's Diversity offices work hard year round to support non profit and youth multicultural programming throughout the state. While Miguel held a great smile in his office overlooking the ballpark, I was grateful to see his pride as a Latino man showcasing professionalism while greeting everyone from the stadium's cleaning crew, security guards, greeters, fans and ticket box employees wearing the Twins logo. I was born in San Juan, Puerto Rico and was raised in El Barrio de San Jose in Rio Piedras, PR. When did you migrate to Minnesota and what were your goals? I migrated to Minnesota 21 years ago. I moved from Puerto Rico right after being in Minnesota in the summertime and loved it. I moved to accomplish my goals and provide the best I could to my family through education and opportunities that are at a disadvantage for Puerto Ricans on the Island. What were your challenges when you moved to Minnesota? My first 5 years were very difficult because of my language barrier. In Puerto Rico you learn English, but you don't use it much. I had to struggle when I arrived to Minnesota due to my few English skills. I had to make adjustments. That's one thing I express to those who are new and move here from their country. When I was in Puerto Rico, I was a sales supervisor for Nestle Corporation, but when I arrived to the states I couldn't communicate and couldn't have the same opportunities or roles for work because I didn't speak the English language well. So I started cleaning floors. It was a tremendous challenge and not to say cleaning floors is bad, but it made me consider the challenges placed in front of our people and that we must not give up! That we must expand our potential which at times aren't invited to be presented when we get here. It was a good challenge and made me who I am today as the Director for Twins Diversity. I remember when I lived in Apple Valley and my daughter at the time was the only Latino student in the whole school. She had her challenges because of her language barriers and not speaking English. She was bullied and hurt by the way others separated her from the rest of the kids and didn't play with her. I told her I was experiencing the same. That day I said "you can cry," but lets make a commitment to try and overcome others who are ignorant and don't understand that we can do and be what we want in this country..Wherever! Latinos have a lot to put on the table, but when we do people recognize we serve big and play to win. Now my daughter is a lawyer with her own office working with immigration and on the board of the Latino Economical Group. We both take time to reflect and share our story to help encourage the next generation of Latinos who have and continue to migrate here. What inspires your determination, leadership and activism in the Latino Community? My home inspired me to prepare other kids experiencing what my daughter had dealt with. I was determined to prepare other immigrants who experienced what we both were going through when we first arrived in Minnesota, My determination is to open people's eyes that the immigrants who come to this country not only have to clean floors, but that we have potential, assets and can make huge contribution towards any field of work from the beginning. With 21 years of life here in Minnesota, I was granted the opportunity and hired to be leading the only Major League Baseball organization's Diversity Marketing office through the Minnesota Twins and represent that Latinos are here and we're here to stay. We learn how to live in MN and love it. We're not going anywhere! What advice do you want to share to the new generation of Latinos here in Minnesota? I came from Barrio de San Jose in San Juan. You know that it is a very low-income place. I remember I always tried to keep active in sports and keep a good head on my shoulders. If I told my friends back when I was a child that this what I would being doing with my life as a director of diversity in MLB, they would have probably laughed at me and say "Yeah right." The place where I grew up and my childhood friends fell into the environment that surrounded our barrio like crime, drugs and the street influences on making money. But I made a choice to not do that. I am a clear example that you can do what you want to do to move forward. I wish every human would understand that. Do the best of you, the best you can! Every human has huge potential and I strongly believe that the Latino community will learn and recognize the idea of the power that we have here in Minnesota and in the whole US. If we come together more as a united Latino community, we can accomplish huge things together to benefit all. Yeah sure Twins Diversity is a business to make more fans for the Twins, but it is also an opportunity to advance our people economically, encourage people to dream, celebrate our history, grow and be happy. It's also an opportunity to dedicate and ask for respect for how we want to be represented. From our Latino players, fans and supporters, if we are healthy, united and advancing together the doors only open more for us to be where we want to be successfully. What are your values as a Latino? My faith to helps and allows me to reflect. Humans are not perfect, but we can learn from our choices, the good ones and the mistakes. That has led me to where I am. I'm grateful to God, my wife and my daughter. The people in the community who support me from day 1. Those are my values and the things I am grateful for. Can you tell us what are your favorite Latino places to go to eat are in the TCs? I love to go to the Global Market, El Burrito, and Manny's Tortas. I've had a great time networking with the Mexican communities here in the Twin Cities. But we definitely need to establish more Puerto Rican restaurants here so lets make that happen! What are some of the events Twins Diversity presents throughout the year? Twins Fest - Gives Opportunity for fans to meet new players and talk ball with veterans. 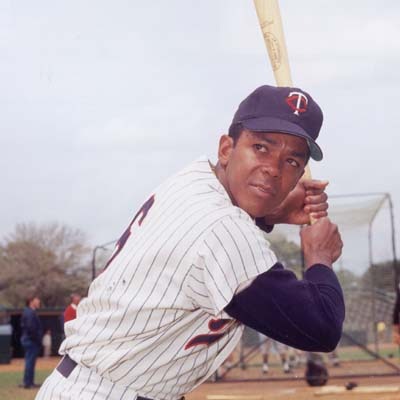 Spanish Radio hosts Alfonso Fernandez and Tony Oliva conduct interviews with players and live entertainment as a backdrop. It's every January preparing for the next season. Winter Caravan- Twin reps visit fans in the Midwest taking the road on the Winter Caravan giving thanks to over 50 diverse communities on behalf of the team. Jackie Robinson Day- A league-wide yearly tribute to the first African-American in Major League Baseball who broke the color barrier in 1947. Twins Day at the Market. Tony Oliva (Centered) TC, Miguel Ramos and youth participants at Twins annual Global Market event presenting live cultural dance groups, speakers and fun! Diversity Day- A great day at the ball park with activities and performances celebrating diversity welcoming everyone to honor their culture. Community Events: Sharing Twin information, fun games and giveaways at many festivals around the Twin Cities such as Cinco De Mayo, International Festival, Twins Day at the Market, IndiaFest, Twin Territory Rallies and much more. Roberto Clemente Day - Remembering the legendary player who celebrated his Afro-Latino culture, skills and mission to serve. One MLB player reflects those values and is recognized while the Twins present a community award. We hope to provide more opportunities and bridge more cultural events in the future! Miguel Sano, Eddie Rosario and Tony Oliva in the Twins Clubhouse honoring Roberto Clemente Day.